Kindle | A balanced diet . . .
I’m a Kindle virgin . . .
Robert Blincoe. Not, I suggest, a familiar name. Somewhat unusual, as well. However, in the early decades of the 19th century, the story of Robert Blincoe was told in an 1828 memoir by Lancashire-born writer John Brown, which appeared as weekly instalments in a radical working class newspaper, The Lion. It was re-published in a widely-disseminated pamphlet in 1832. Born illegitimate in London in the early 1790s, never knowing his parents, he entered a workhouse at the age of four, but by his sixth birthday had been ‘apprenticed’ far away in the Peak District of Derbyshire to a brutal cotton spinner, along with dozens of other workhouse or work’us children. 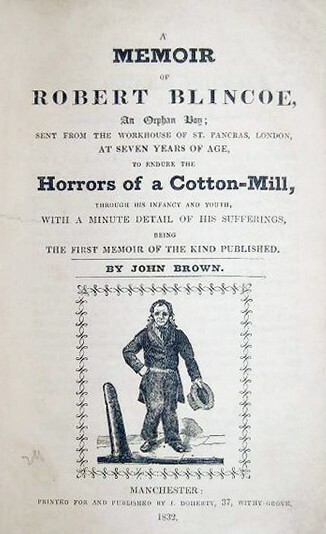 An image of his twisted and deformed body appears on the cover of the 1832 pamphlet. They toiled under the most appalling conditions, up to 18 hours a day, subsisting on the most meagre of meals, going to bed each night tired, cold and hungry. Working among the dusty and dangerous spinning mules, these children were subjected to savage beatings, and risked life and limb crawling among the machinery. It’s no surprise that many of these children did not survive beyond their teen years, if that long. Robert Blincoe was different. Not only did he survive, but prospered, married Martha Simpson, and had three children, and the youngest, Robert Blincoe, Jr, graduated from Queen’s College, Cambridge University, and became a celebrated Anglican preacher in London. His middle child, Martha, married into the gentry, and it was in her house in Macclesfield, Cheshire that Robert Blincoe, Sr. died in 1860, just a year after his wife. It took decades for the law to be enacted that prohibited the employment of children in factories, or even reduced the hours they (and adults) were permitted to work. Blincoe’s story is both appalling and inspiring, and I’ve just finished reading an account of his life and times in a 2005 book by historian John Waller of Michigan State University. Waller suggests that celebrated novelist Charles Dickens based the character of Oliver Twist (in his second novel, published in 1837) on Robert Blincoe. Perhaps, or not maybe. In an interesting article published in The Guardian in 2005, Blincoe’s great-great-great grandson Nicholas Blincoe examines the case for this proposition. Dickens must have been aware of Blincoe’s story. He was a reporter in parliament, and the political campaign to reform working practices in mills and factories was current during this period of Dickens’s career. So what has all this to do with Amazon Kindle? Well, Blincoe’s story and the possible Dickens connection has inspired me, given me the challenge even, to work my way through his 15 novels¹, most of which were originally published as weekly instalments in one publication or another. So yesterday, I downloaded David Copperfield on to my wife’s Kindle (a gift from Hannah and Michael in 2015). This is the first time I have used a Kindle, and it takes a little getting used to. I much prefer the feel (and smell) of a book. But the Kindle is very convenient, I must admit. David Copperfield was, apparently, Dickens’s favourite novel, but I’ve never read it. 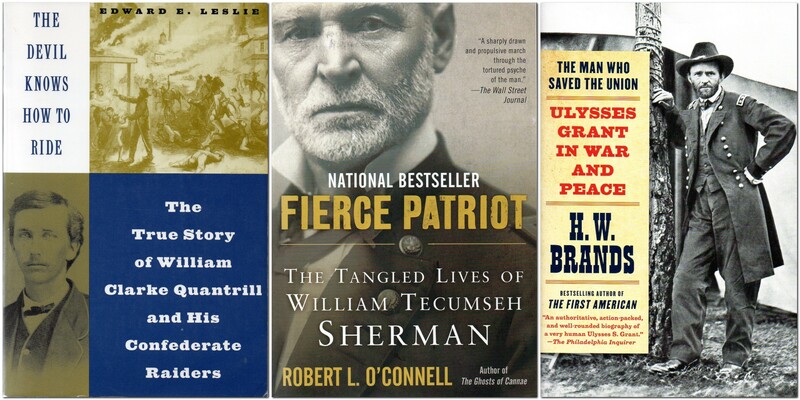 I am familiar with many of the novels and their campaigning themes, mainly through TV or films. However, it was quite common when I was in high school in the 1960s to have one of Dickens’s novel as the set text in the English Literature syllabus. Great Expectations appeared on the list quite a few times. Among the best film and TV adaptations of Dickens’s work must surely figure the 1951 film Scrooge (starring Alastair Sim), based on A Christmas Carol (a short story published in 1843), and A Tale of Two Cities (1958) with Dirk Bogarde starring as Sydney Carton. One recent TV adaptation of Great Expectations (first broadcast in December 2011), starred Gillian Anderson as Miss Havisham, a slightly controversial casting but, in my opinion, an inspired one. Then from 26 December 2015, the BBC broadcast an innovative 20 episode series, Dickensian, based on the characters in his novels, which I thoroughly enjoyed. Anyway, I’ve set myself my own Dickensian challenge for 2017. Wish me luck!